You, like me, have spent a fair amount of time watching on-line videos. Who can blame us? When we need a break from grading, routines, or vacuuming, lovely owls, talking dogs, or five people playing one guitar are irresistible draws. Of course, video can be a powerful teaching tool, too. You surely are amazed by my obvious commentary. No? Well, let me try to impress you, then. Two free online tools—Mozilla’s Popcorn Maker and TED-ed’s Flipped Interface–can make online videos more interactive. I am still in the early stages of experimentation with both, and my students are using the tools, so my opinions are still very much developing. Yet, at this nascent stage, I am intrigued (and harbor some reservations). In this post I will focus on the TED-ed channel’s “flip” interface. 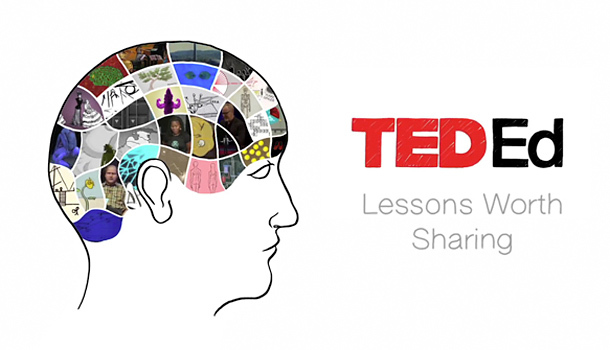 You have probably already been to TED-ed. If not, stop reading this. Go there now. I’ll see you in a few hours. TED-ed is a valuable resource for classroom teachers, a nicely edited platform with many visually arresting videos on a variety of topics. The “flipped” videos already have comprehension questions and supplemental resources built in. I like how easy it is to create your own professional looking flips. The interface is sleek and intuitive. It’s a snap to create multiple choice or open response questions that can gauge how well a viewer understands the content of a video. Using a video I had already created, it took me about an hour to create my first flip. I now have a much better idea of my students’ understanding of this introductory video. Previously, I asked students to view the video and then used class time to informally assess their understanding. Of course, I will still use class time to develop their understanding of descriptive writing. No five-minute video can really impact a student’s writing style all that much. But, I can now get more information about their initial understanding before they walk through the door. Class time just got more efficient. In the end, the THINK section is a quiz. I can make these quizzes more challenging or open-ended by creating free response questions, but I would love even more flexibility in the format answers could take. Responses could be drawn in a pop-up window, or viewers could attach images, audio, or video as an answer. For a better sense of what I mean, check out this review of Infuse Learning and Socrative over at History Tech. I wish viewers could mark up the video (similar to what can be done on VoiceThread or the like). I want to be able to embed the flipped videos elsewhere. The finished product has a sleek, professional look. It is very easy to modify other people’s work. The ability to add a time marker when an incorrect answer is given allows for instant feedback. Flipped videos become an even more effective teaching tool when students create them. I love, love, love the idea of amplifying our work beyond our classroom walls. Publishing work to TED gives us an audience we could never have before. The pros easily outweigh the cons, so I will certainly continue to use this tool. I hope you will, too. Share links to your work, and I will certainly send my students your way. In Interactive Video (Part Two) I will comment on Mozilla’s Popcorn Maker, another free online interface that works quite differently than TED-ed, allowing for a full “remix” of online video.